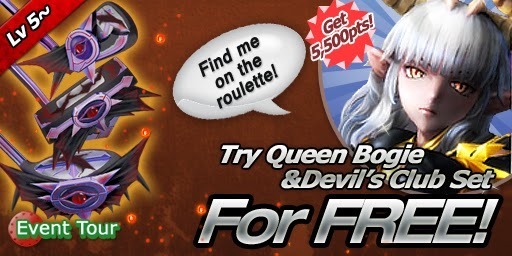 Try Queen Bogie and Devil's Golf Club Set for free!! Score 5,500+ pts and Roulette Chance to win Queen Bogie! Test your putting skill at Castle of Bogie!